Polygon reports that the Wii U received its system update last night, and I can confirm that it is true … because I installed it just about an hour ago. 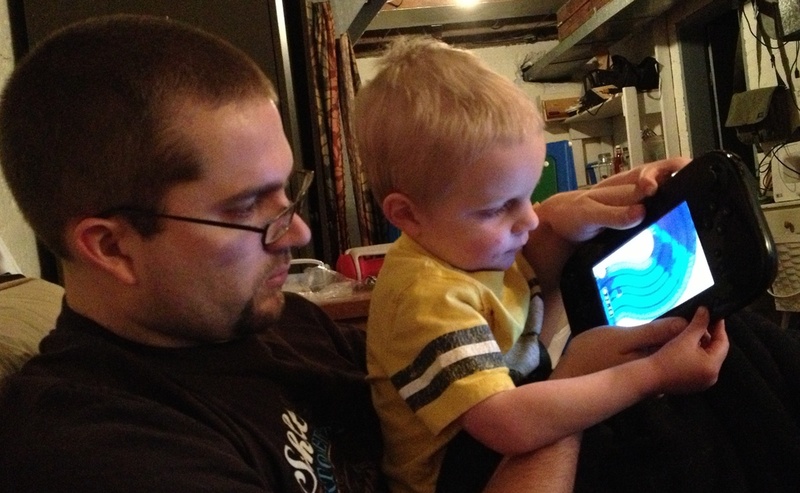 That’s just a picture of my son and me playing Nintendo Land. So far, the speed update is noticeable. Wait times are down and things seem more fluid than before, but there is always room for improvement. iOS has forever broken me, and lagging interfaces are now grating. I haven’t had time to really dig in at all and take a look at some of the other improvements, but it is always good to see an update come down. I’m still very satisfied with my Wii U and it has been a lot of fun to see my son improve drastically over the past months. We have a lot of fun with it, and that is the idea.